Make no mistake: downsizing is extremely difficult. It taxes all of a management team's resources, including both business acumen and humanity. No one looks forward to downsizing. Perhaps this is why so many otherwise first-rate executives downsize so poorly. They ignore all the signs pointing to a layoff until it's too late to plan adequately; then action must be taken immediately to reduce the financial drain of excess staff. The extremely difficult decisions of who must be laid off, how much notice they will be given, the amount of severance pay, and how far the company will go to help the laid-off employee find another job are given less than adequate attention. These are critical decisions that have as much to do with the future of the organization as they do with the future of the laid-off employees. So what happens? These decisions are handed to the legal department, whose primary objective is to reduce the risk of litigation, not to protect the morale and intellectual capital of the organization. Consequently downsizing is often executed with a brisk, compassionless efficiency that leaves laid-off employees angry and surviving employees feeling helpless and demotivated. Helplessness is the enemy of high achievement. It produces a work environment of withdrawal, risk-averse decisions, severely impaired morale, and excessive blaming. All of these put a stranglehold on an organization that now desperately needs to excel. Ineffective methods of downsizing abound. Downsizing malpractices such as those that follow are common; they are also inefficient and very dangerous. Most corporate attorneys will advise laying off employees on a last-hired, first-fired basis across all departments. The method for downsizing that is most clearly defensible in a court of law, for example, is to lay off 10% of employees across all departments on a seniority-only basis. This way no employee can claim that he or she was dismissed for discriminatory reasons. Furthermore, attorneys advise against saying anything more than what's absolutely necessary to either the departing employees or the survivors. This caution is designed to protect the company from making any implied or explicit promises that aren't then kept. By strictly scripting what is said about the layoffs, the company is protecting itself from verbal slips by managers who are themselves stressed at having to release valued employees. This approach may succeed from a legal perspective, but not necessarily from the larger and more important concern of organizational health. First, laying off employees by a flat percentage across different departments is irrational. How can it be that accounting can cope with the same proportion of fewer employees as human resources? Could it be that one department can be externalized and the other left intact? The decision of how many employees to lay off from each department should be based on an analysis of business needs, not an arbitrary statistic. The concept of laying off employees strictly on the basis of seniority is also irrational. The choice of employees for a layoff should be based on a redistribution of the work, not the date the individual employee was hired. Sometimes an employee of 18 months has a skill far more valuable than one with 18 years' seniority. Out of fear and guilt, many executives choose to give employees as little forewarning as possible about an upcoming layoff or downsizing. Managers fear that if employees know their fate ahead of time, they might become demoralized and unproductive -- they may even sabotage the business. However, there is no documented evidence that advance notice of a layoff increases the incidence of employee sabotage. The lack of advance notice about downsizing, however, does dramatically increase mistrust of management among surviving workers. Trust is based on mutual respect. When employees discover what has been brewing without their knowledge or input (and they will when the first person is let go), they see a blatant disrespect for their integrity, destroying trust. By not giving employees information that could be enormously helpful to them in planning their own lives, management initiates a cycle of mistrust and helplessness that can be very destructive and require years to correct. Many managers believe that after a layoff, the less said about it the better. With luck, everyone will just forget and move on. Why keep the past alive? The reality is, surviving employees will talk about what's happened whether the management team does or doesn't. The more the company tries to suppress these discussions and act as if nothing has happened, the more subversive the discussion becomes. Remaining employees will act as a consequence of what has happened regardless of whether the management does. Recovery from a layoff is greatly hastened if managers and employees are allowed to speak their minds freely about what's happened. In fact, it can be a great opportunity for the team of surviving employees to pull together and renew ties. When management refuses to acknowledge what has really taken place, it appears emphatically heartless, feeding the employees' sense of helplessness. If management won't talk about it even after the fact, what else is it hiding? When faced with an organization that isn't functioning at optimal efficiency and thinking that a layoff is needed, there are a few key principles to keep in mind. Observing these principles won't completely eliminate the dangers of downsizing, but they will help to avoid the common pitfalls of a poorly planned layoff. The critical first question to ask before any layoff is: Is the need for this layoff driven by having too many employees or too little profit? If it's too little profit, this is the first warning sign that your company isn't ready for a layoff. Using a layoff solely as a cost-cutting measure is utterly foolish: throwing away valuable talent and organizational learning by dumping employees only makes a bad situation worse. When your business lacks revenue, annihilating intellectual capital and thus reducing the efficiency of remaining resources as well as the potential for future growth is not the solution. If the answer is too many employees, then you've begun the process of a well-thought-out strategy for change. To legitimately determine if you have too many employees, look at the organization's business plan, not its headcount. What product and services will you be offering? Which of these products and services is likely to be profitable? What talent will you need to run the new organization? These questions will help you plan for the post-layoff future. These issues will enable a quick turnaround from the inevitable negative effects of downsizing to positive growth in value and efficiency. Having a clear, well-defined vision of the company is imperative before the layoff is executed. Management should know what it wants to accomplish, where the emphasis will be on the new organization, and what staff will be needed. Without being directed according to a clear vision of the future, the new organization is likely to carry forward some of the same problems that initially created the need for the layoff. Unfortunately, many managers underestimate the momentum of the old organization to recreate the same problems anew. Unless there is a clearly defined, shared vision of the new company among the entire management team, the past will be likely to sabotage the future and create a cycle of repeated layoffs with little improvement in organizational efficiency. The methods employed in many poorly executed layoffs treat employees like children. Information is withheld and doled out. Managers' control over their employees is violated. Human resource representatives scurry around from one hush-hush meeting to another. How management treats laid-off employees is how it vicariously treats remaining employees -- everything you do in a layoff is done in the arena, with everyone observing. How laid-off employees are treated is how surviving employees assume they may be treated. Why does this matter? Because successfully planning for the new organization will keep it going and improve its results. You must keep that exceptional talent, who are also the employees most marketable to other organizations. When they see the company treating laid-off employees poorly, they'll start looking for a better place to work, fearing their heads will be next to roll. While it's important not to allow the legal department to design a layoff, it's nevertheless important that you respect the employment laws. In different countries, such laws include entitlements tied to civil rights, age discrimination, disabilities, worked adjustment, and retraining. These laws are important and should be respected for what they intend as well as what they prescribe -- or proscribe. If you have planned your lay-off according to business needs, and not on headcount or seniority, you should have no problem upholding the law. You will almost always find yourself in legal trouble when you base your layoff on factors other than business needs. During the merger of BB&T Financial Corporation and Southern National Corporation, redundant positions were eliminated through the strategic use of a hiring freeze. Hewlett-Packard implemented a so-called fortnight program in which all employees were asked to take one day off without pay every two weeks until business revenue increased. Scott Paper conducted a layoff of 10,500 employees in the mid-1990s. In the years that followed Scott was unable to introduce any new products and saw a dramatic decrease in profitability, until it was eventually bought out by competitor Kimberly-Clark. Downsizing successfully is immensely difficult. The following ideas can help to focus thinking for anyone considering such a move. Treat all employees with respect. Communicate too much rather than withhold information. Research applicable laws and follow the spirit of the legislation. Afterward, give employees the psychological space to accept, and discuss, what has happened. There are two important factors to keep in mind when planning a layoff: respecting employee dignity and business planning. 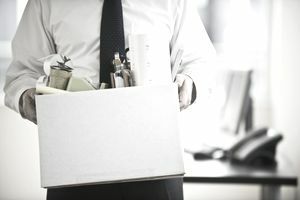 No one, from the mail room to the board-room, enjoys downsizing; but when the need for a reduction in staff is unavoidable, a layoff can be accomplished in such a way that the problem is fixed and the organization excels. **Alan Downs is a management psychologist and consultant who specializes in strategic human resources planning and helping business executives reach their maximum potential. He has authored several books, including AMACOM's Corporate Executions (1995), the much-acclaimed expose on downsizing, The Seven Miracles of Management (Prentice Hall,1998), and The Fearless Executive (AMACOM 2000). Downs is widely sought for interviews by newspaper, TV, and radio broadcasts. He has also written on management topics for numerous national newspapers and trade publications, including Management Review and Across the Board.